Intuition received a patent for its Ultralon foam liners in 1993. Since then the company has wrapped the feet of countless skiers from pro athletes to first-timers who opt for a perfect fit. 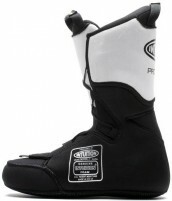 Recently Intuition started making thermo-moldable liners for touring boots with extra ankle flex. Closed-cell EVA foam is known for its ability to hold a mold. That means after having your liners heat molded, it won’t start to return to a former shape and crowd your feet. 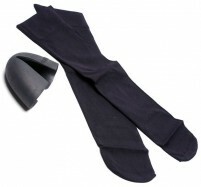 The foam is also warmer than some other liner materials and is very dense which ..
A Fit Kit consists of a pair of Intuition socks and flexible toe caps. Put the caps over your toes and insole, and then slide the whole setup into the socks. They are now ready to mold and will give your toes some space to breathe, which is key when skinn..